Mt Carmel is a freehold property owned by John and Joanne Blue who purchased it in December 2004. Previously John had owned Ohau Downs Station at Omarama. John and Joanne moved to Mt Carmel in February 2005 with their children, Fiona and Dugald. They continue at farm Mt Carmel as a sheep and beef property, currently carrying 4300 Merino sheep and 214 Angus Gelbvieh cross cattle. After managing Mt Carmel from 1966, Mr John Oswald took ownership of the property in 1975. Steve and Mary Satterthwaite purchased Mt Carmel in 1996 and a manager lived on the property. 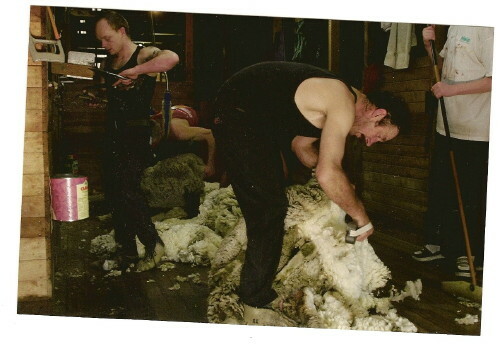 In July 2003 the Westies block was sold off to the Wilson Family Trust. The property takes its name from the highest peak on the holding, which is approx 1006M. It is said that the name was given by two surveyors who, in the early days, while eating their lunch on the slopes, thought of the Biblical stories of Mt Carmel. For the most part, Mt Carmel takes in the land originally taken up by the Oswalds and called Duntroon. The area today is 2111ha, 200ha being added in 1978 with the purchase of part of Riverview from the Estate Alan West. The flock was halfbred but after 1970 it was Polwarth (replacements retained) -Mr Oswald had a small Polwarth stud. Cattle have been bred and farmed - about 100 breeding cows were carried in the 1980s and 90s. This block was purchased by the late W L Oswald (grandfather of the John Oswald) in 1908 - previously it was part of Weld's Hill in the hands of the Assets Realisation Board. The homestead (built 1910 - 11) by a Mr Schinkel has been altered through the years - 1980 substantial alterations were made which included the adding of a 2nd storey. 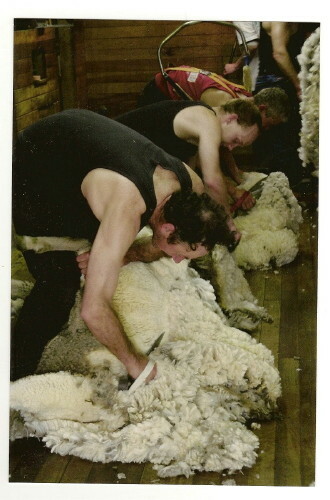 The wool shed (also built about 1910) was doubled in size in 1967, and further additions were made in 1980. The old cob cottage on the Riverview section built by Mr Arthur West himself is now know as Westie's Cottage and has been used in recent years by the teacher at the Jordan School. For some time, a potter (Mr Roger Hayward) operated from this building - he left shortly after his kiln caused a fire which destroyed most of the sheds, including the old cob woolshed, built by Arthur West. This fire occurred in 1983.